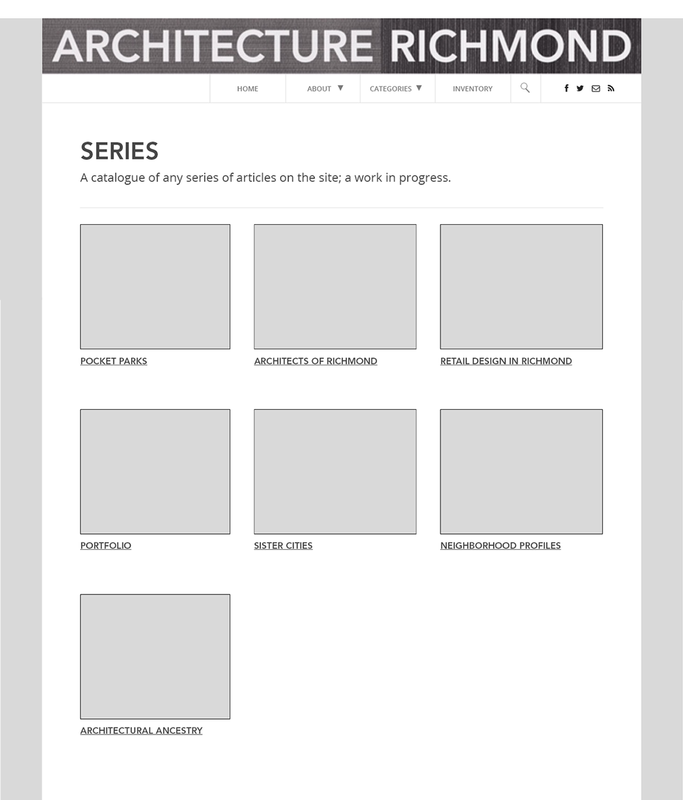 ArchitectureRichmond documents and examines the buildings, spaces, and urban textures of Richmond. Wordpress hosted the original site on the 21-theme. 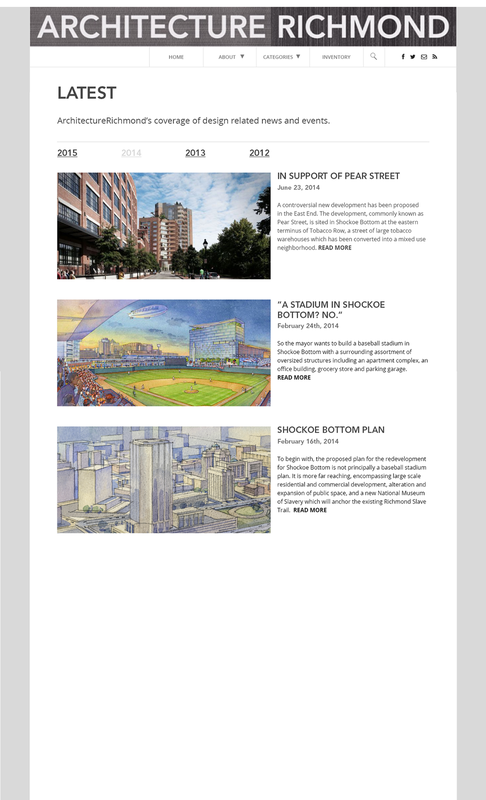 To accommodate the growing suite of the content of the site, they needed a design overhaul. I was tasked to create a website that would organize the content with featured articles, better tabs, and a streamlined news feed. First, I audited the site to gauge the major usability issues. Afterwards, I performed competitive analysis on existing content heavy sites. 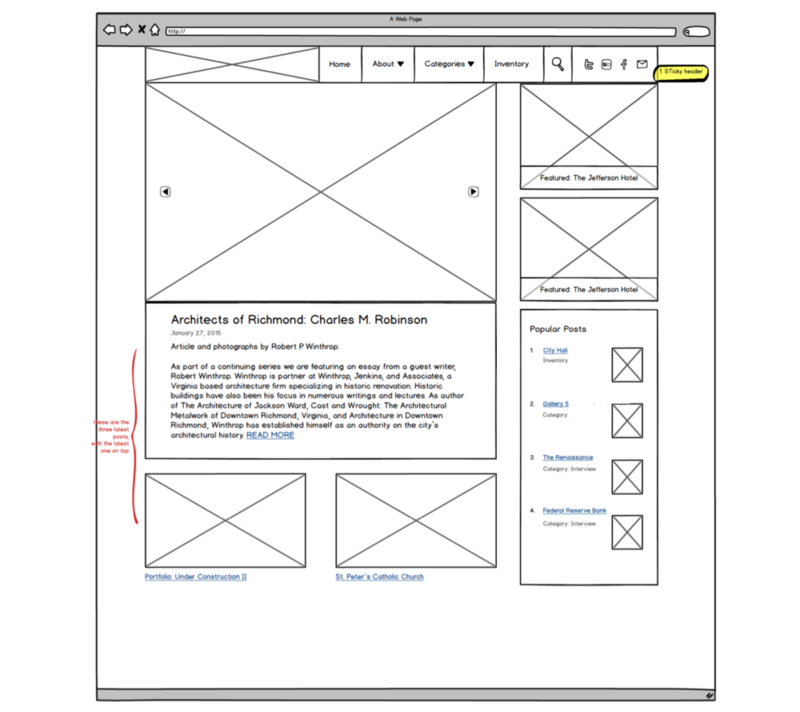 Taking inspiration from sites such as Bustle and Vice, I created low-fidelity wireframes that used a modular layout with fixed headers. After the client had approved the designs, I created a high-fidelity mockup in InDesign. The style of the content called for a clean and minimalist design that would draw attention to the images and content. For the typography, I used a combination of Avenir and Open Sans.